Valentines Day is a wonderful day in which people share the love and enjoyment of being together. They should aim to be kind and loving every day, not just on a special day that intrigues many! We all know that even if women don't admit it out loud, it's sort of a special day in which they look forward to each year. The Holiday season has passed! Now you find yourself staring down another Holiday that has the potential of reducing your savings even more. This can be a daunting task, but enjoyable also. Love is about being thoughtful, so don't just wait until Valentines to show your woman or man love and appreciation. Show them at all times of the year! Be creative, but take in consideration that person's unique personality. Be romantic and take charge, this is an opportunity to express your love, commitment, and admiration for that special someone in your life. When Valentines Day come around, you realize it's not just for the adults in your life, but for those beautiful little children that are full of excitement. It's time to dash to the stores and get those perfect valentine's cards and special treats for your children's school valentine's day parties. It's time to see their little faces filled with joy as they read the cards they receive from others. It's time to pick up the flowers and gifts, and get ready for that special date that will give you quality time with your significant other. Sometimes you don't have any idea of what to purchase for that special day. You may have just started a new relationship and are a little nervous. You may be strapped for cash. After-all, The holiday season just left and money doesn't grow on trees. 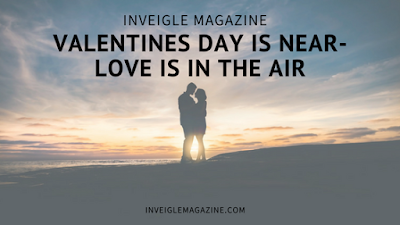 You may still be paying off gifts from that occasion.Well if you don't wait until the last minute, you may catch some awesome deals on valentine gifts. Cook a romantic dinner at home and set up some candles with some great music. Sit down and talk to each other. Put away the social media networks for another day and focus on each other. Women and men love attention without the so called nagging and bickering. Look sweet for your sweetheart. Here Are a few other gift ideas. For couples that want a little time to relax, try a little get away. It is something enjoyable for both partners in the relationship. Start planning before time slips up on you. Booking.com has a variety of destinations for you and your love one! Find a great city to celebrate with your date or just book a room in your city through Booking.com to add some sizzle in your relationship.